Welcome to the University of Southern Maine's English Language (ESOL) Program! The ESOL program at the University of Southern Maine is a dynamic place where students from all around the world join in USM’s mission to offer an outstanding education that is affordable, accessible, and excellent. The ESOL program’s caring and experienced instructors help you reach your English language goals. Our rigorous courses use the latest teaching techniques and materials. Thanks to our small classes, free tutoring and personalized approach, our students learn the language skills they need for success in academic majors and professional life. 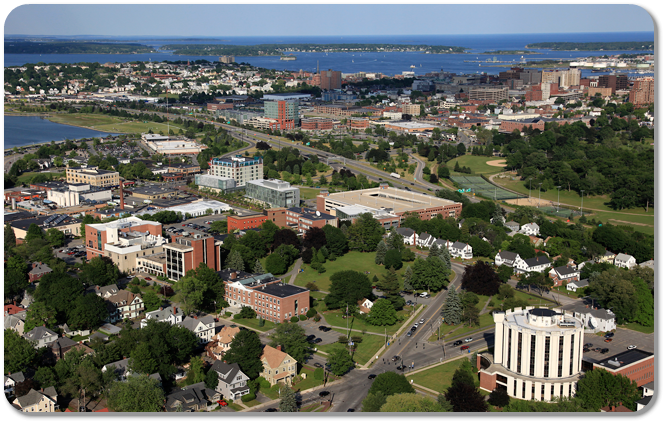 Our location, Portland, Maine, is a charming, seaside city that’s famous as a tourist destination, only two hours north of Boston. Safe and convenient living and learning environment, just 2 hours north of Boston. ESOL program students can live in a USM dormitory, or on their own in the area. Year-round instruction, with full time or part time options. Admissions Pathways Program- study English and begin university classes at the same time. The primary goal of the University of Southern Maine is to provide excellent higher education to talented and culturally diverse students. The exceptional faculty and student body, along with its three campus locations in Portland, Gorham and Lewiston-Auburn, give USM a healthy learning atmosphere and a stimulating, open and challenging environment. 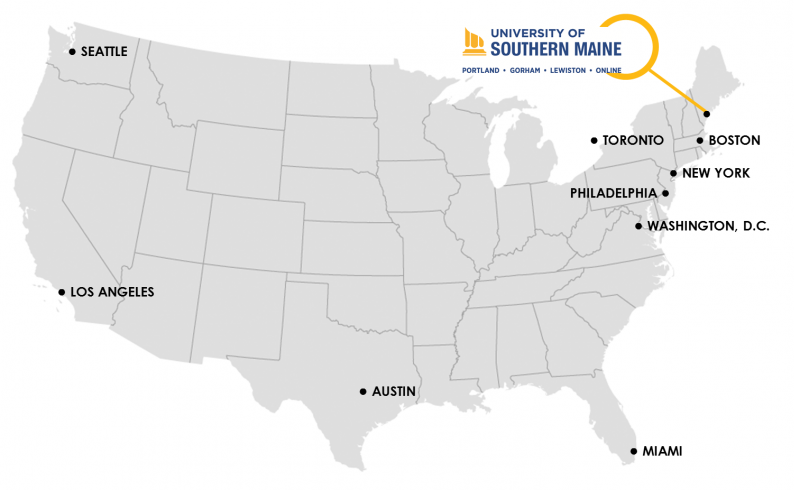 USM is the only public urban comprehensive university in the State of Maine.